I know that I haven't been on here in awhile ..well the reason is that I can't sign into blogger on my computer at home ....right now i'm just updating everyone from work which I should have done a long time ago. 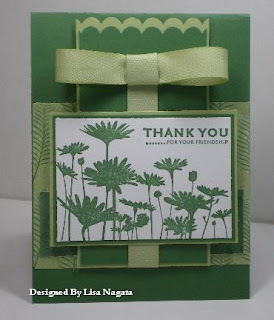 This is a card that I done for SC232 found here and for the LSC224 found here. 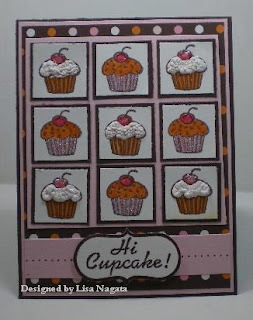 Well today was very warm here ....I need to go to my basement and stamp again cause it's cool down there. I haven't post in awhile but today I would like to wish Taylor from Taylor's Expressions a Very Happy Birthday!! 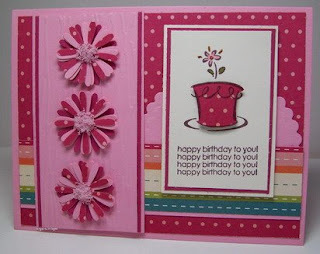 hop on over to her Blog and wish her a Happy Birthday. 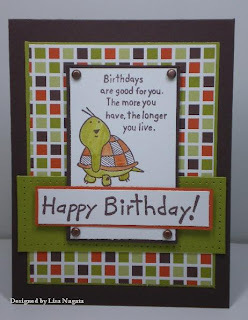 Taylor I wish you a Very Happy Birthday!!! 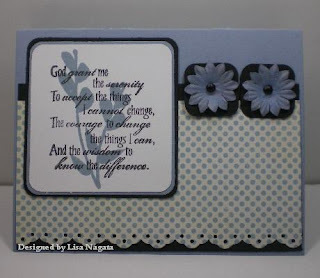 This is a card that I did for Lauren's sketch combine with the cc215 on scs. I know that I haven't been blogging for awhile but working full time and taking care of 3 kids...well anyone out there with kids and/or working full time should know..hehehe. As of yesterday I volunteer that I would work 3 days a week so my co worker wouldn't get the boot. (My boss phone me yesterday and told me that the girl that works with me would be gone as of this Friday...(only 2 of us work there)..I panic at that point cause I would have to be there 5 days a week no one to talk to and if my kids got sick or myself then the doors would be closed that day.So my dh said to me why don't you work 3 days and the other girl work 3 days that would cut hours.So, I phone my boss up and ran it by her and she thought it was a great idea.She couldn't thank me or should I say my dh enough.So as of this monday coming I only work 3 days a week ....So that means more time for stamping ...YaaaaaaaH!!!!!!!! 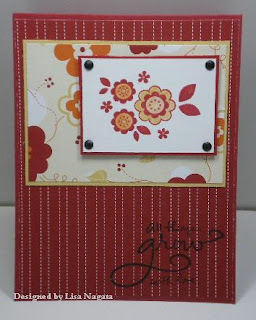 Hi everyone....here's a few cards that I have done over this weekend. 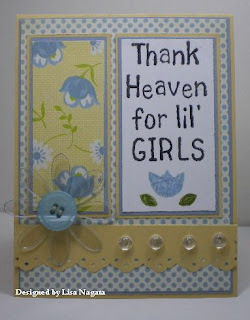 This first card was done for a sketch challenge from Taylor's Expressions found here. Taylor is having a weekend full of challenges. 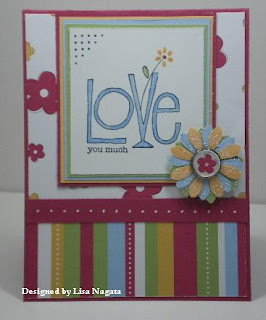 This next card was done for a Verve Sketch Challenge found here. 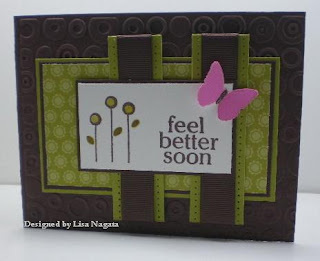 This card was done for another Sketch challenge from Jen's Blog found here. 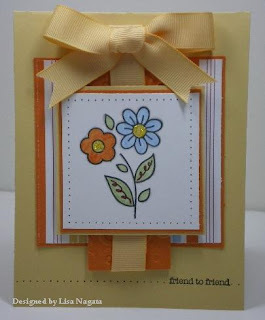 The last card is done for another sketch found at Beate's Blog which Sharon has hosted. Well I hope you all have a GREAT week. Be back sometime this week with more cards. Well I'm here again today with a few more challenges that I did earlier this week. 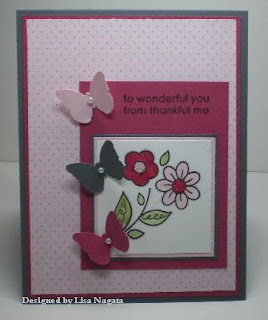 This card was done for SFYTT from Jen's blog you can find here. I haven't used this DP in such a long time ,I actually forgot I had it ..I have to stop buying more paper and use up what I have. If you have any question give me a email. Well I did a few card this week. Yah!!!! I will show you a couple that I did...as it's 11:41 pm here.I do have to work in the morning. I will show you more tomorrow. 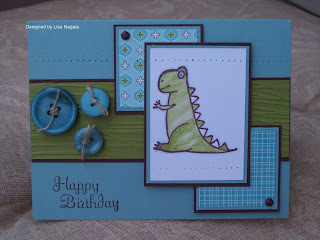 This card that I did was for Lauren's Saturday sketch. This card was done for 2 challenges on SCS......CC208 and SC218 I normally don't flip the sketch BUT I gave it a go this time.